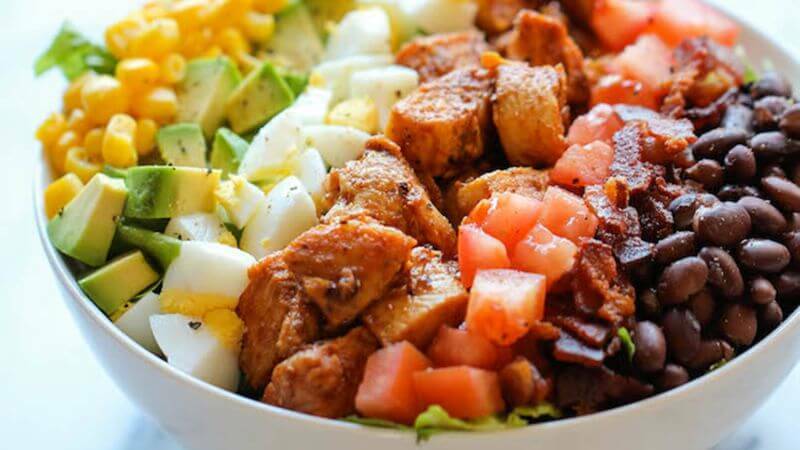 If you want to know how to meal prep like a pro and make building muscle and losing fat a breeze, then you want to read this article. You’ve seen the pictures on Instagram. Pretty people with their pretty little cartons of “clean” and colorful foods. “I wish I could do that,” you’ve probably thought. The problem isn’t that you need to be sold on the benefits of meal prepping. Enables you to lose or gain weight as desired. Allow you to eat foods you like every day. You want to meal prep…but you’re just not sure where to start. Or maybe you’ve tried and wound up confused, frustrated, or overwhelmed, and quit. Well, this article is going to get you back on track. In it, you’re going to learn everything you need to know about diet and meal prepping to make effective, enjoyable, and economical meal plans that make losing fat and building muscle a breeze. You’ve probably heard cliches about how important diet and nutrition is when it comes to getting fit. Some people say it’s 70% of the game. Others say it’s 80% or even 90%. Well, I say it’s 100%. And lifting heavy weights, overloading your muscles…that’s also 100%. Being properly hydrated is 100%, too. We can’t forget about having the right attitude, either. That’s 100%. The building blocks of a great body are more like pillars than puzzle pieces. Weaken one enough and the whole structure collapses. This is why many people meal prep. It’s the most surefire way to make your diet work for and not against you. 1. 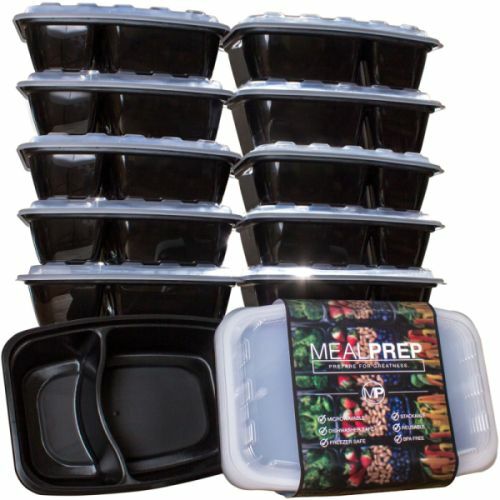 Meal prepping allows you to tightly control your caloric and macronutrient intake. If you eat too much, you’ll fail to lose weight (or you’ll gain weight too quickly). If you eat too little, you’ll hate your life and probably harm your body composition. Get food intake right, though, and you can build muscle and lose fat with ease. 2. Meal prepping allows you to eat the foods you like (without overeating). There’s a lot of truth in that saying. And if you’re like most people, you have a hard time sticking to a restrictive diet of bland, boring food. Fortunately, you don’t have to choose between the body you’d like and the foods you love. 3. 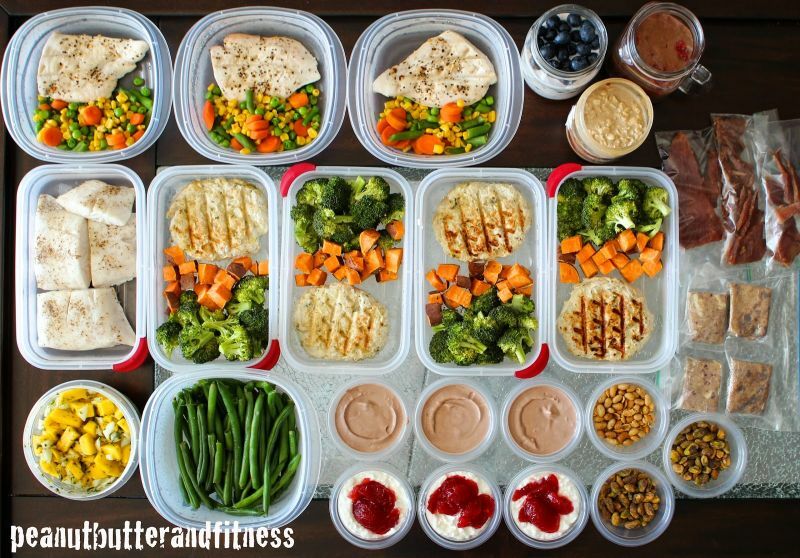 Meal prepping allows you to eat on a schedule that suits you. Increasing or decreasing meal frequency doesn’t help or hinder your results per se. That said, it can make a diet easier or harder to stick to, which will ultimately influence your results. That’s why you should eat as frequently or infrequently as you prefer. 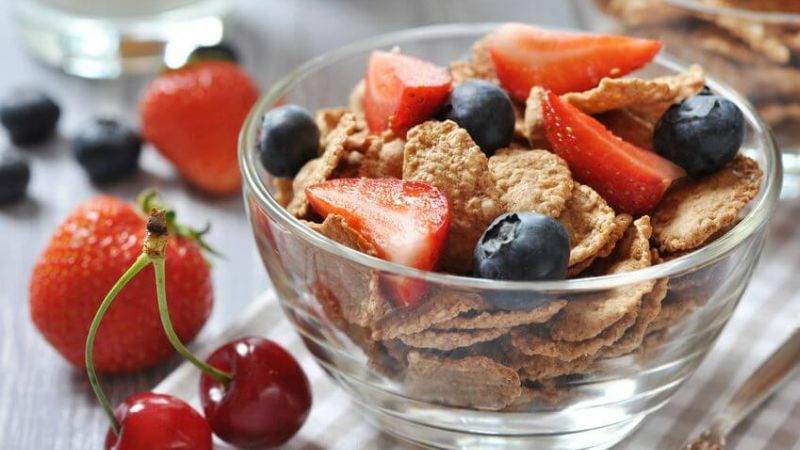 For example, if you prefer to skip breakfast and eat 3 large meals per day, then that’s what you should do. If, on the other hand, you prefer to eat lightly throughout the day and feast at night, that works too. The biggest benefit of meal prepping is knowing that your diet is 100% on point. This guarantees results, which motivates you to continue, which gets further results, and so on. This positive feedback loop can be quite powerful. 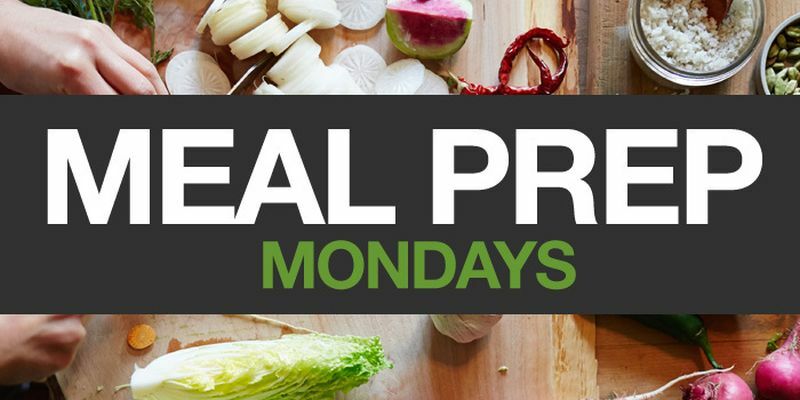 So, now that you know what a meal prep can do for you, let’s learn how to actually do it. And while it has its heart in the right place, it misses the forest for the trees. What most “clean eaters” don’t realize is the nutritional value of food has little effect on your body composition. That is, “clean” foods don’t make you lean and “dirty” foods don’t make you fat. Yes, you certainly need to eat plenty of nutritious foods to stay healthy, but individual foods can’t directly cause weight loss or gain. Sugar isn’t your waistline’s enemy and “healthy fats” aren’t its savior. And why “flexible dieting” is getting more and more popular. “Energy balance” is the most basic fundamental of dieting that you must understand if you’re to get results. It dictates your weight gain and loss more than anything else. Meaningful weight gain (both fat and muscle) requires the opposite: more consumption than expenditure. 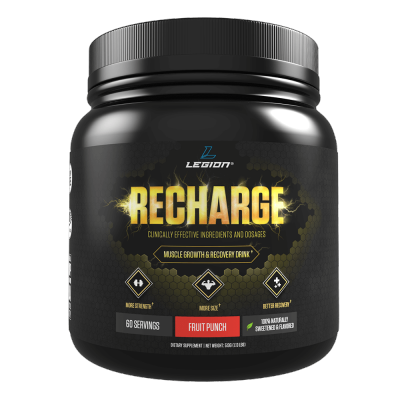 The bottom line is many hundreds of metabolic studies have proven conclusively that energy balance, operating according to the first law of thermodynamics, is the basic mechanism that regulates fat storage and reduction. Now, that doesn’t mean you have to count calories to lose weight. You don’t. But it does mean you have to understand the relationship between calorie intake and expenditure and weight gain and loss. This is why claims that some foods are “better” than others for losing or gaining weight are misleading. As you know, foods don’t have any special properties that cause weight loss or gain. What they do have, however, are varying amounts of calories and varying types of macronutrient profiles (which we’ll talk about in a minute). 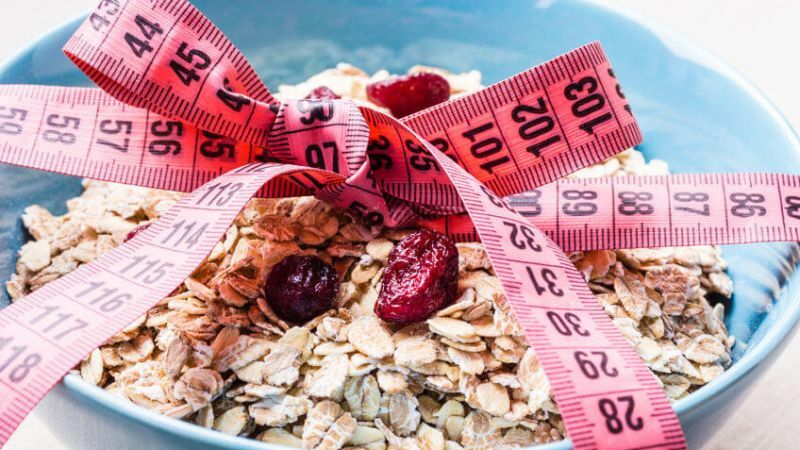 These two factors of calories and “macros” are what make certain foods more conducive to weight loss or gain than others. And that’s because if you know how to regulate and balance your food intake properly, you can eat just about anything and lose or gain weight. You’ve probably also heard that statement is relic of the “dark ages of dieting,” and that modern science has conclusively proven it false. Well, the truth isn’t as black and white. As far as your weight goes, a calorie is a calorie. Eat too much of anything–even organic, non-GMO, gluten-free, sugar-free vegetable goop–and you will gain weight. Maintain a calorie deficit while on a “gas station diet” of the most nutritionally bankrupt crap you can find, and you will lose weight. As far as your body composition goes, though, a calorie is not a calorie. That is, when you want to improve your body composition by gaining muscle and/or losing fat (and not muscle), where you get your calories from matters. You see, people say they want to lose or gain “weight,” but that’s not what they mean. The goal is never to just lose or gain weight. It’s to lose fat and not muscle and gain muscle and not fat. The specific foods you eat aren’t the key here. How they break down macronutritionally is what matters most. And by that, I mean how much protein, carbohydrate, and fat they contain. Protein increases satiety (fullness), which helps prevent overeating. 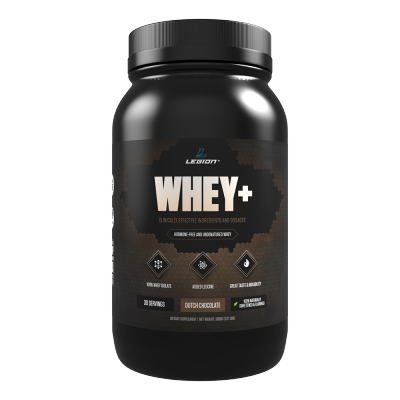 Your protein intake is particularly important if you’re exercising regularly because this further increases your body’s need for it. Many health and fitness authorities claim that low-carb dieting is the way of the future. There are exceptions, of course, but that holds true for the vast majority of people, regardless of age, gender, genetics, or training experience. 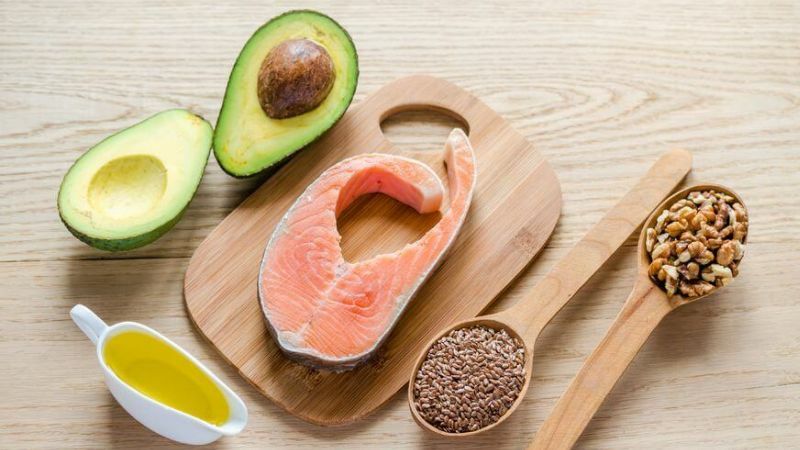 Your body needs a certain amount of dietary fat to support vital physiological processes related to cell maintenance, hormone production, insulin sensitivity, and more. This is why, according to the Institute of Medicine, adults should get 20 to 35% of their daily calories from dietary fat. These numbers are echoed throughout the fitness space, but there’s a problem. These recommendations are based on the calorie needs of the average sedentary person (about 2,000 calories per day). 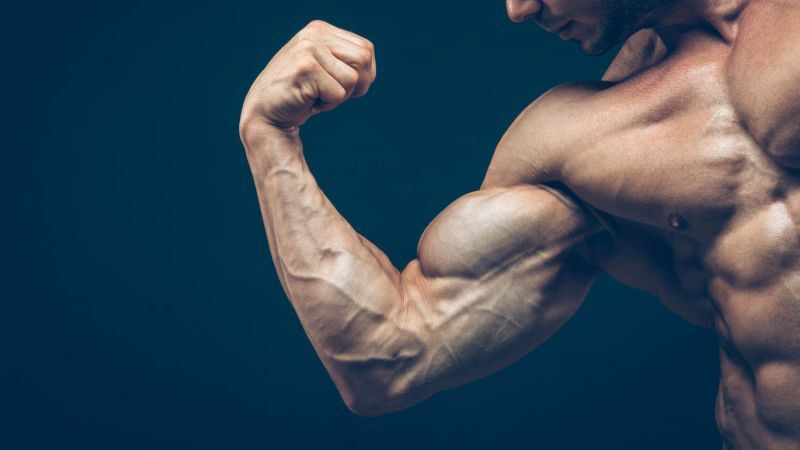 This is significant because people that exercise frequently and have higher amounts of muscle burn far more energy than the average person and thus require far more calories. Just because their bodies need more calories due to activity doesn’t mean they need more fat, though. That is, your body needs a certain number of grams of dietary fat every day, not a certain percentage of caloric intake regardless of how many calories you’re actually eating. Someone that eats 5,000 calories per day may only need to get 10 to 15% of daily calories from fat whereas someone eating 2,000 calories may need 20 to 25%. Let’s quickly recap the key takeaways of what we’ve covered so far before moving on to the practical bits of meal prepping. An energy deficit results in weight loss and a surplus results in weight gain. 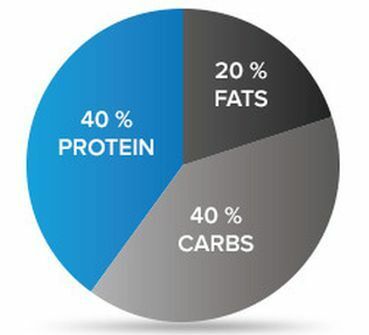 You want to eat enough protein and tailor your carb and fat intake to your circumstances and goals. 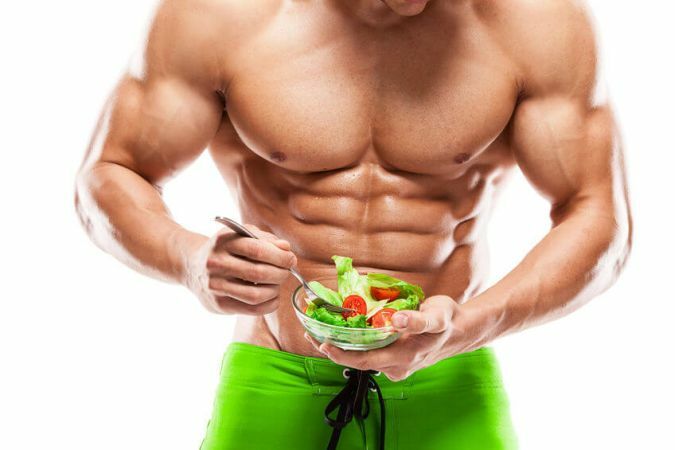 The reason to eat “clean” foods isn’t because they directly help muscle gain or fat loss. It’s because they provide vital micronutrients that support and preserve health. Calculate your caloric intake based on your goal. Build a meal plan that provides the majority (80%+) of those calories and macros from nutritious foods. Prep and eat the food. And by the end of this article, you’ll know how to do all of it. In the grand scheme of meal prepping, prepping isn’t nearly as important as planning. You can buy, cut, cook, and store food masterfully, but if you don’t plan your meals (and food intake) properly, you won’t reach your goals. That’s why we’ve spent a couple thousand words on meal planning before talking about the logistics of meal prepping. Let’s wrap it up here. You now know that you have to eat less energy than you burn to lose weight. 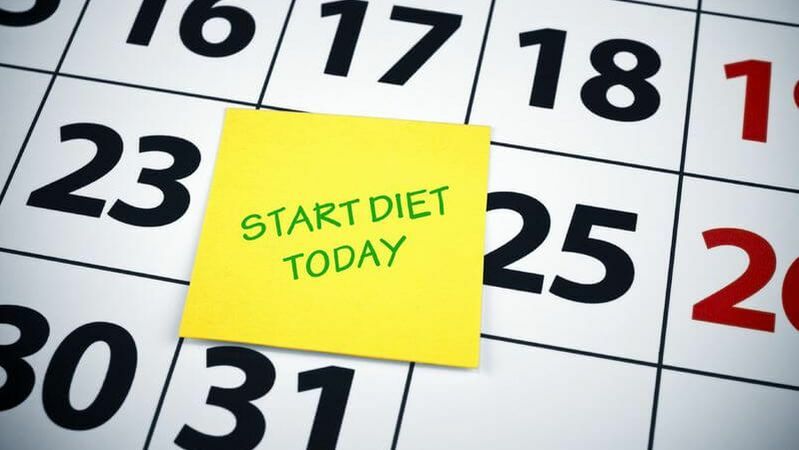 Many fat loss diets advocate eating very little every day but I don’t recommend that approach. It causes too many negative side effects, including metabolic slowdown, excessive muscle loss, extreme irritableness, and more. Instead, I recommend that you feed your body 20 to 25% fewer calories than it burns every day. This is an aggressive (but not reckless) calorie deficit that will allow you to lose anywhere from 0.5 to 2 pounds per week while also preserving your metabolic health, energy levels, hormone production, mood, and general well-being. I’m not plucking that advice out of thin air, either. It’s based on research conducted by scientists at the University of Jyväskylä and my experience working with thousands of people of all ages and circumstances. It was conducted with 20-to-35 year-old national and international level track and field jumpers and sprinters with low levels of body fat (at or under 10%). A daily calorie deficit of 300 calories (about 88% of TDEE). A daily calorie deficit of 750 calories (about 76% of TDEE). It’s also worth noting that this group was eating over 2,000 calories per day, which isn’t a “starvation diet” by any means. Both groups followed a high-protein diet and trained as they normally would. Similar results were seen in another study conducted by scientists at McMaster University, which separated 40 young, overweight men into two groups. And the other group did the same workouts but ate half the protein. These people ate just over half of the energy they were burning and did 6 weightlifting and HIIT cardio workouts per week. If you were to show that protocol to any personal trainer, they would say you’re crazy. The participants in the high-protein group lost, on average, about 10.5 pounds of fat while gaining about 2.5 pounds of muscle. The low-protein group lost about 8 pounds of fat and gained no muscle. Now, that regimen is far more intense than I would recommend because I guarantee you those people didn’t have a good time. It does show you just how militant you can be without ruining your body composition, though. This is the basic strategy behind my Bigger Leaner Stronger (men) and Thinner Leaner Stronger(women) programs, by the way, and they work. Now, the first step of calculating your calories is determining, with some accuracy, how much energy you’re actually burning every day. 1. Use the following calculator to determine your total daily energy expenditure (TDEE). Your TDEE is an approximation of how much energy your body burns every day. 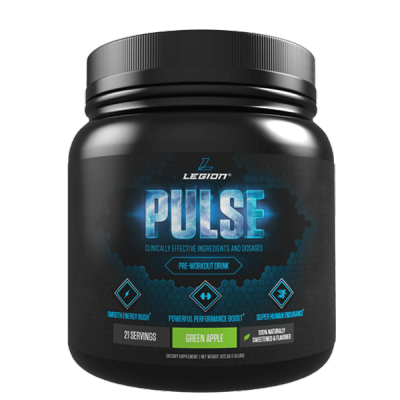 It’s comprised of your basal metabolic rate (BMR) plus additional energy burned through moving and processing the food you eat. The standard activity multipliers are too high for most people. That is, with standard Katch McArdle activity multipliers, you’re likely to over-estimate your actual TDEE (and thus unintentionally overeat). 2. Multiply your TDEE by 0.75 to determine your target caloric intake. This will create a 25% calorie deficit, which will allow you to rapidly (and healthily) lose fat. 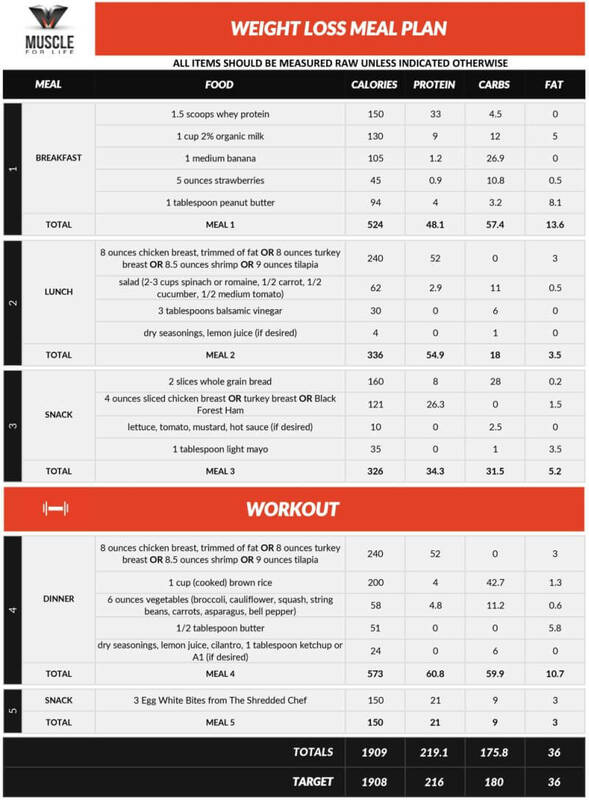 Now that you know how to work out your calories for losing weight, let’s look at macros. Keeping your carb intake high is going to help you in many ways: better workouts, more enjoyable meal plans, better mood and energy levels, and more. If you’re sedentary or have a medical condition like diabetes, then you’ll probably do better with fewer carbs. If you have a relevant medical condition, check with your doctor as to your “carbohydrate ceiling.” I’ve seen a lot of variation here, but it seems to be around the same level (20 to 25% of daily calories). First calculate your TDEE and then multiply it to determine your target caloric intake. In this case, we’re going to multiply it by 1.1 to create a slight (~10%) calorie surplus (about 110% of TDEE). Before we get to that, though, you should know that “bulking” works best if your body fat percentage is in the right range. You can learn more about why here. This higher fat intake will help you eat more foods you like and hit your daily caloric target. Yes, this means eating a lot of carbs and yes, this is going to help tremendously in gaining muscle. Once you know where your calories and macros need to be, the fun can begin. In this step, you will turn those dietary targets into actual meal plans that you will enjoy. 1. You don’t have to prep it all at once. It’s a lot of cutting, chopping, cooking, and packing, but that means it’s also the most time efficient way to get the job done. If that isn’t feasible for you, though, or just sounds slightly overwhelming, you can do well with two shorter prep sessions per week. For example, Sundays and Wednesdays works well for many people. 2. Even a little prepping can make a big difference. 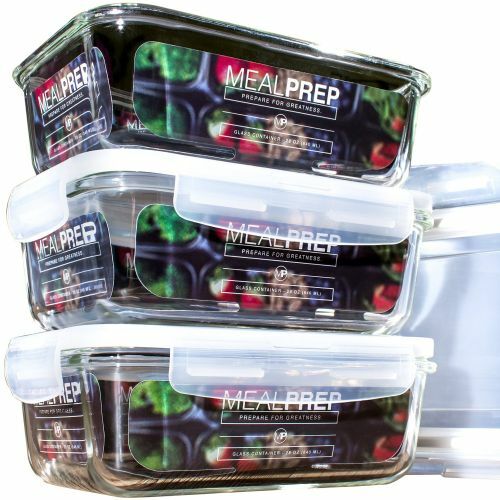 If you don’t have the time or inclination to set aside several hours per week to do an all-inclusive meal prep, that doesn’t mean you can’t benefit from any prep whatsoever. If all you did was prep the meal(s) that tend to be hardest to control in terms of intake, like lunches and dinners, it can make sticking to your numbers much easier. 3. Don’t experiment with new or fancy recipes. When you’re new to meal prepping, stick with recipes you’ve made many times and are comfortable with. This prevents wasted time and money on recipes that turn out bad and allows you to focus on the mechanical details of getting the prep done. 4. Choose simple “prep-friendly” recipes instead. My general advice to people new to this style of eating is to keep it as simple as possible at first. Don’t opt for gourmet recipes that take considerable time, skill, and money to make, that don’t store and reheat well, and/or are hard to quantify calorically and macronutritionally. Remember that when it comes to cooking, more–more ingredients, more steps, more time–isn’t always better. A simple recipe made well beats a poorly executed fancy recipe every time. 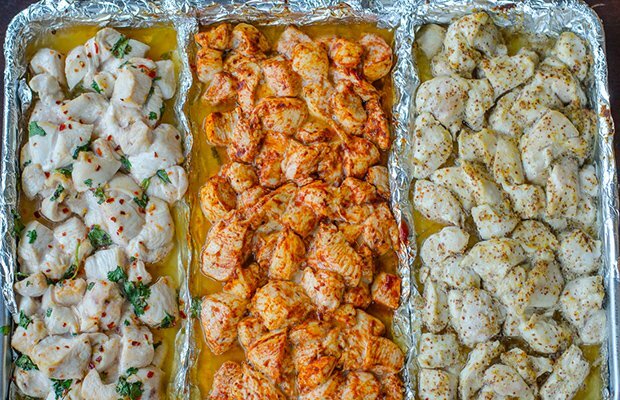 This is why the best meal prep recipes are easy and fast to make, require relatively few ingredients, and allow you to prepare large amounts of food with minimal equipment and work. 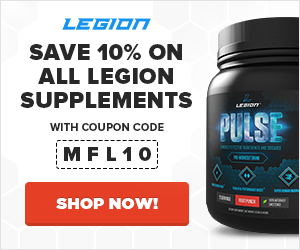 In fact, many of the hundreds of recipes here on Muscle for Life and over at Legion are (intentionally) perfect for meal prepping. 5. Eat the same foods every meal, every day. This is the best “diet hack” you can learn because it helps prevent the accidental over- and under-eating that keeps people from losing or gaining weight as desired. Some people think it sounds grueling, though. Variety is the spice of life, is it not? If you’re one of those people, fret not. You might be surprised at how easy it is when you’re eating foods you actually like. You can also swap meals out for other options as you get tired of them. For example, I know quite a few people that change their menus every 2 to 3 weeks and look forward to every meal, every day. 6. Choose foods that reheat well. When you reheat food regularly, you quickly learn what does and doesn’t do well the second time around. Some of my favorite “safe choices” are soups, casseroles, chicken dishes, rice and other grains, veggie medleys, and meatballs. 7. 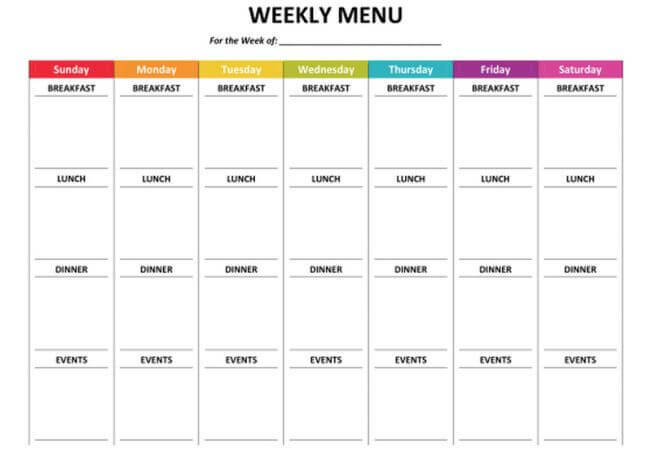 Fit your meals to your schedule (not vice versa). When you get your calories, macros, food choices, and meal timing right, you’ll genuinely enjoy your diet. Get any of these things wrong, though, and you’ll struggle. We’ve spoken extensively about calories, macros, and food choices already. This tip relates to meal timing. Specifically, you should plan your meals according to your preferences and schedule. If your mornings are crazy and you don’t like eating until lunch, work with it. If you find yourself lurking around the vending machine in the middle of the afternoon, drop a healthy snack into your plan to keep hunger at bay. If you like to eat large dinners, accommodate yourself by eating fewer calories earlier in the day. As you know, the key to good meal prepping is good meal planning. List your preferred primary sources of protein, carbs, and fats separately. Chicken, pork, turkey, eggs, lean beef, dairy, protein powder. Olive oil, chocolate, nuts, meat, dairy, fish oil. Before you start creating actual meals, you should establish when you’re going to eat and how large or small each meal is going to be. This way you’ll know what types of recipes and meals will work for you and which won’t. Remember that when you eat your food generally doesn’t matter. The most important point is that you tailor your meal timing and sizing to your needs. 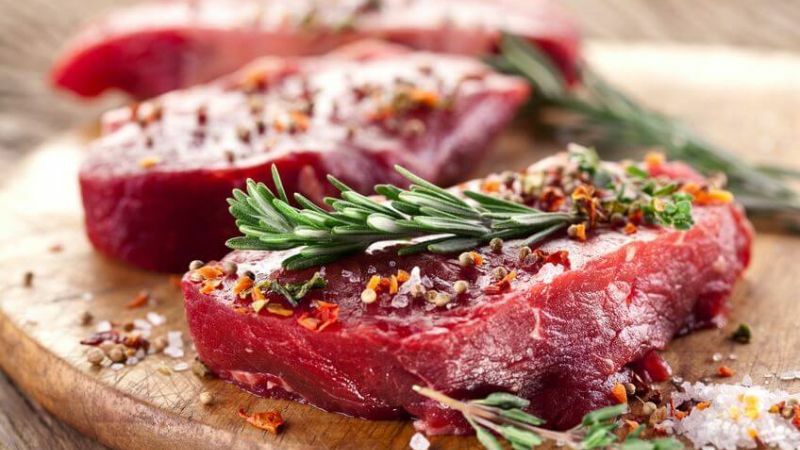 It’s probably a good idea to eat 3 to 5 servings of protein per day (separated by a few hours). 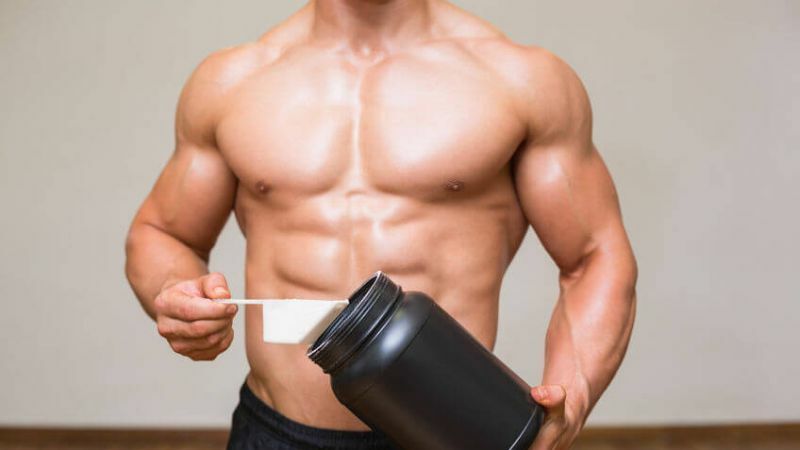 There’s a fair amount of evidence that eating protein before and after weightlifting workouts can help you build muscle and strength faster. There’s a also evidence that post-workout carb intake can help as well, mainly due to insulin’s anti-catabolic effects. Have at least 3 servings of protein per day. 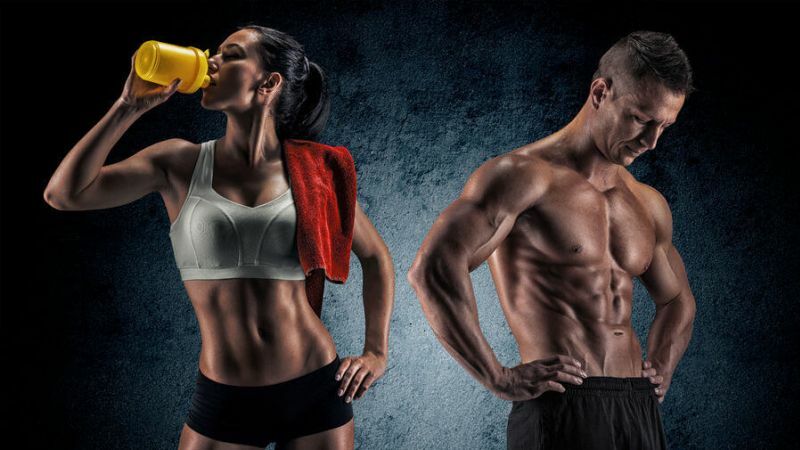 Have 20 to 40 grams of protein before and after your workouts. Have 0.5 to 1 gram of carbs per kilogram of bodyweight within an hour or so of finishing a weightlifting workout. You’ll probably also find that 30 to 50 grams of carbs before a workout is great for boosting performance. Beyond those points, though, how you structure your calories and macros is up to you. Now that you have a list of your favorite foods and know how your meals are going to be structured, you can start noodling with meals and recipes. Start by familiarizing yourself with the nutritional facts of individual foods and recipes you like using a site like CalorieKing or CalorieCount. As you’ll soon see, some foods and recipes will be too calorically “expensive” or macronutritionally imbalanced to fit your needs, but others will work nicely. Make a list of those that seem like good candidates for your meal planning. The goal in this step is to create a perfect one-day meal plan. The most important point here is that it’s within 50 calories of your target intake if you’re cutting and within 100 calories if you’re bulking. This means you’ll have to tinker with food choices and portions, which is why I like to use Google Sheets for meal planning. If you want to set your plan up in the same way, you can download my sheet as an Excel sheet or copy it to your Google Drive. When creating your meal plan, you’ll probably find it helps to start with your largest meals first and then tackle your smaller meals. 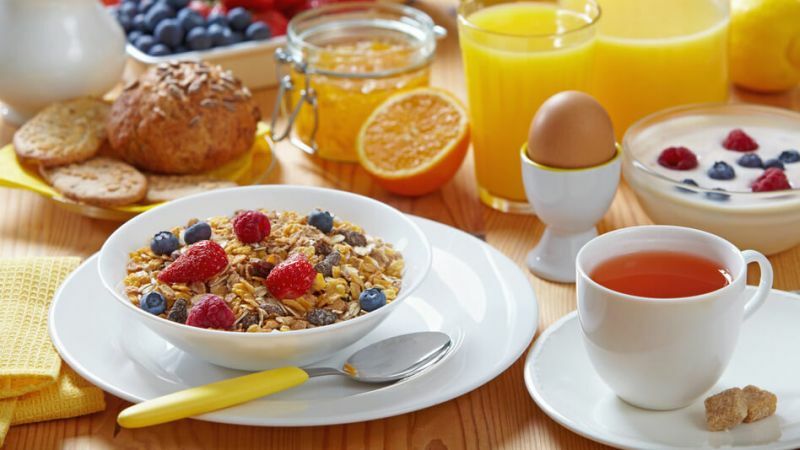 For example, if you want to begin every day with a large breakfast, start there. Look over your food preferences and breakfast recipes, put together a meal that you think will be satisfying, and enter the calories and macros into the spreadsheet. Then move on the second-largest meal, and continue this way meal by meal, keeping an eye on how many calories and macros you have allocated and how many you have left. 5. OPTIONAL: Create alternate meals. If you’re new to meal prepping, I recommend you skip this step. Stick with your meal plan that you just created and eat those foods every meal, every day. This is the easiest way to avoid problems. 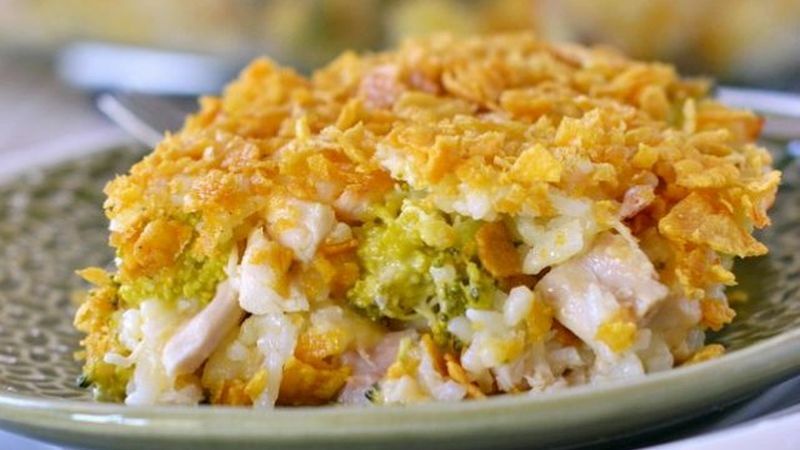 If, however, you really want some variety or just feel up to the challenge, you can create alternate meals. The best way to keep this easy is to work within the caloric and macronutritional restraints the meals you’re replacing. Don’t try to shuffle calories and macros around for different meal choices. For example, if your breakfast currently contains 30 grams of protein, 50 grams of carbs, and 15 grams of fat, work with those numbers when choosing alternate meals. Now that you know what food you’re going to make, it’s time to decide when you’re going to make it. How long you’ll need will depend on your actual meal plan, but it shouldn’t take more than a few hours to cut, cook, and store everything. 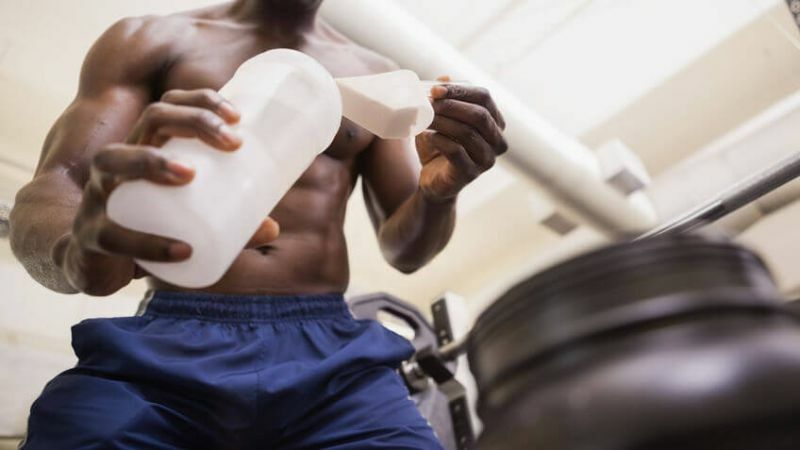 As I mentioned earlier, many people do all their prep in one afternoon per week, but you can split this into two sessions if that doesn’t work for you. If you’re going to go with one day per week, I recommend Sundays because it doesn’t interfere with your Friday and Saturday shenanigans and it helps ensure your food isn’t funky by Thursday or Friday. When it comes time to shop and cook, you want to get it done as quickly and efficiently as possible (kind of the point of meal prepping). 1. Determine what you’ll need to buy. Work out what you need to buy to follow your meal plan for one day and multiply by as many days as you’ll be prepping for. If you have alternate meals in your planning, adjust accordingly. I recommend you create your list digitally so it’s easier to organize. 2. Organize your list by store department. This will streamline your shopping experience by ensuring you only need to take one trip down each aisle. The big day has come. It’s time to sow the seeds of all your planning. The basic idea here is to cut, cook, and prepare everything you can so you can store and eat it as easily as possible. In terms of actually doing that, it’s fairly straightforward. You’re going to want a food scale to make sure your calories and macros are accurate. 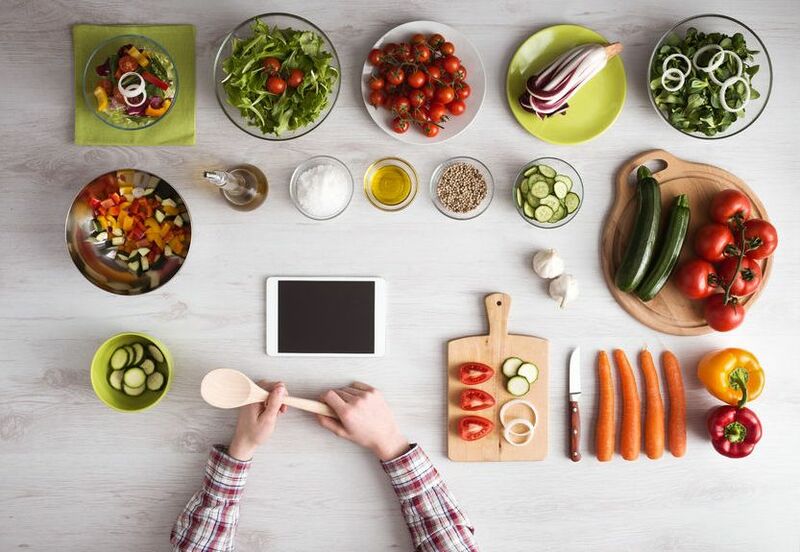 Weighing your foods before you cook them is very important because of variability that can occur with cooking. You weigh things after they’re cooked/prepared to determine portions. 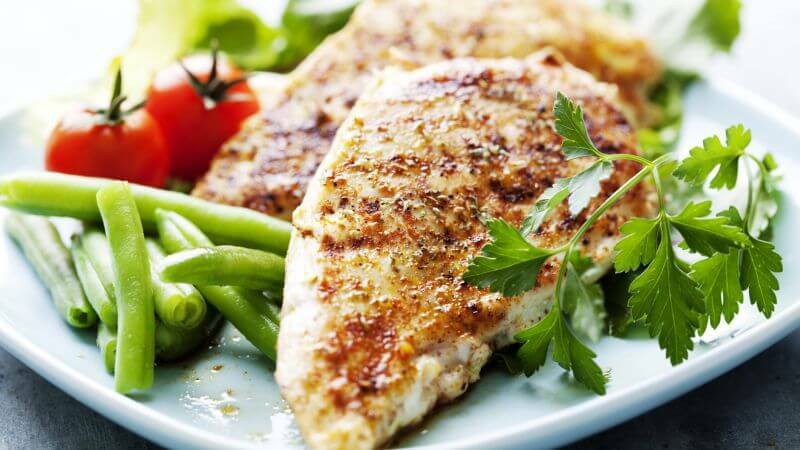 For example, if you need to cook a pound of chicken for four meals, you would first weigh out 454 grams raw, cook it all together, and then divide it into four (relatively) equal portions of about 114 grams. Do all your washing, cutting, and chopping in one go and then move on to cooking and finally storing. This is faster than repeating the process meal by meal. You don’t have to cook everything if you’d prefer to have certain foods freshly cooked. For example, some people like to trim their meats of fat and chop their veggies and then store them in bags raw (freezer or fridge, depending on when they will be cooked) for quick stir-fry dinners. Roast different vegetables with the same cooking time. Some vegetables cook quickly, like asparagus, mushrooms, and cherry tomatoes, while others take longer, like carrots, cauliflower, and potatoes. Pair your veggies up based on cooking times and roast them together. 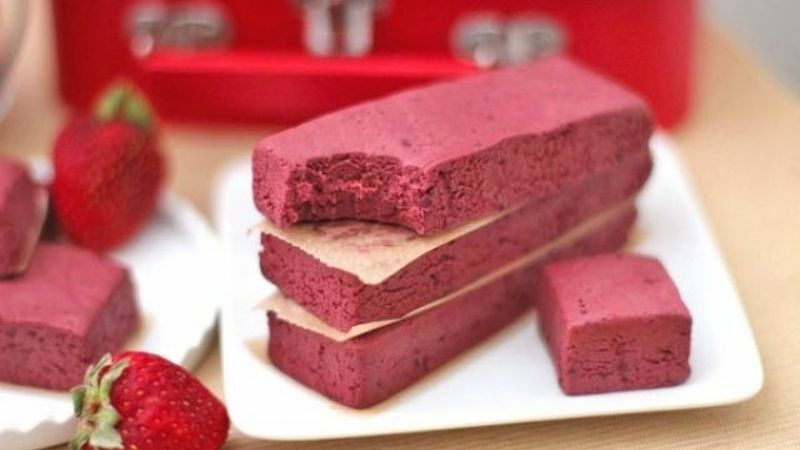 Don’t underestimate the utility of protein-rich snacks. High-protein snacks are perfect for on-the-go eating and/or beating the midday munchies. Cook your meat three different ways in the same pan. Just because you’re going to eat chicken every day doesn’t mean it has to be the exact same. You can make hardboiled eggs in the oven. Hardboiled eggs are a perfect meal prep food. They’re tasty, easy to make, and nutritious. The problem, though, is you can only fit a handful in a pot, and making several pots can take quite a bit of time. You can avoid this by baking the eggs in a muffin tin. Heat your oven to 350 degrees, load the tin up, bake for 30 minutes, and then place the eggs in a large bowl of ice water for about 10 minutes, and you’re done. 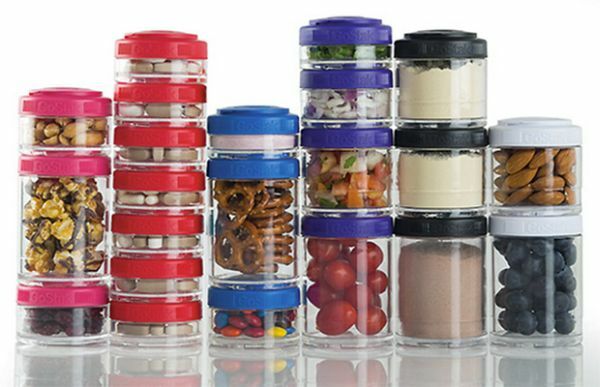 Get compartmented containers for separating the components of your meals. They’re perfect for keeping your protein, starches, veggies, etc. separate and for reheating, and they’re easy to clean and store. Trust me. You’ll want them. If you’re going to be microwaving your meals, I recommend you go with glass (to avoid chemicals leaching from the plastic). When you have a big bag of goodies in your lap, it can be hard to stop eating. Well, if you have small edibles in your meal plan like pretzels, nuts, or veggies, store them in smaller portable container or jars or little bags. 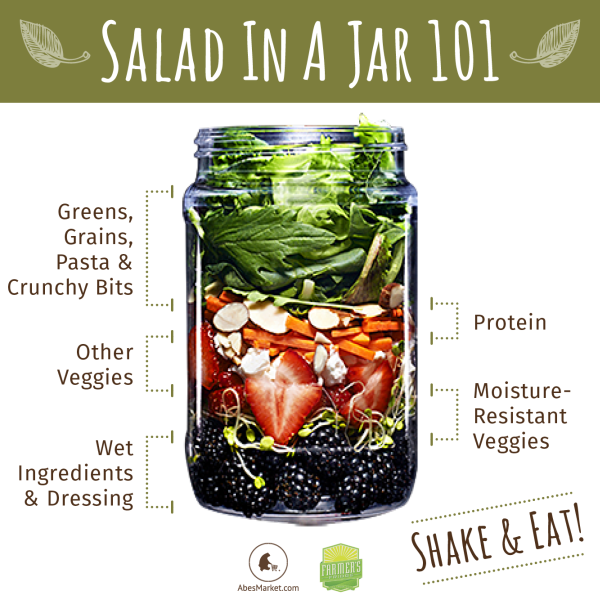 Consider using Mason jars to store your salads. If you’ve tried to mix a salad and eat it later, you know the problem: it turns into a soggy mush. Mason jars are a perfect one-container solution. Put the dressing at the bottom of the jar, then layer in the sturdier ingredients, and save the greens for the top, and voila, you have a fresh salad on demand. Pack a paper towel at the top if you’re storing the salad for several days. If your idea of reheated food is dry, unappetizing fodder, this section is for you. There’s no denying that some meals are much better fresh, but most shouldn’t lose too much of their pizzazz the second time around. Flick water on top of the food so the steam created isn’t sucked out of it, leaving you with a dry, rubbery mess. Microwaving is most people’s default for reheating because it’s quick and easy. It’s also better suited to some foods more than others. The key is moisture levels in the food you’re cooking. Foods that are consistently moist throughout like rice, vegetables, and soups, microwave well. Foods that aren’t, like those that are crisp on the outside but moist on the inside, don’t. When the microwave isn’t ideal, opt for an oven or toaster oven instead. Broiling can be particularly good (just keep a close eye on it to prevent burning). If you pop meal in the microwave for a few minutes straight, there’s a good chance it’s going to be unevenly cooked. Instead, after the first minute or so, remove the dish, give it a stir, and resume cooking. 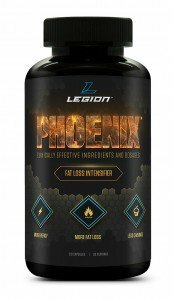 For the purpose of this article, let’s just quickly review the supplements that are going to help you get the most out of your diet and training in general. We’ve covered a lot in this article, so if you feel a bit flat-footed, I understand. There really aren’t that many moving parts, though. You work out your calories and macros. You make a meal plan that you’ll enjoy. You shop, cook, and store. And you repeat and learn and improve as you go. What’s your take on meal prep? Have anything else to share? Let me know in the comments below!